Get creative and win $100! We noticed you do some beautiful things with our moulding samples, and we love that. 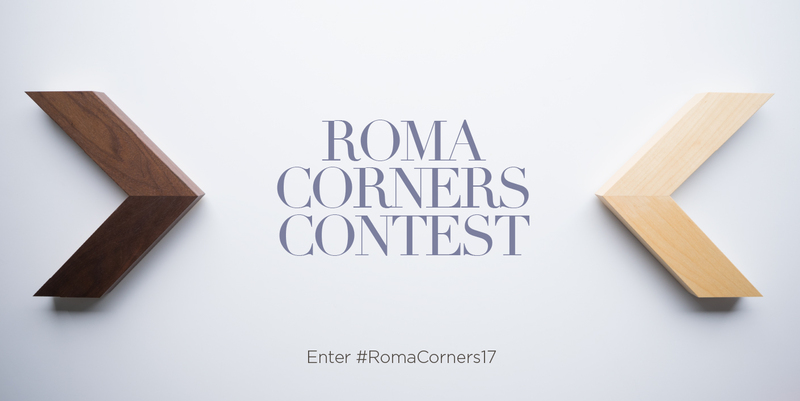 So we thought we’d throw a little contest to show our appreciation: 4 weeks = 4 winners x $100 in Roma credit. Every week we’ll pick a new winner. Snap a pic of our latest Winter 2017 moulding corners. How often can you enter? As often as you’d like, but only 1 entry counts each week (don’t worry, we’ll pick your best shot). Who can enter? Any framing partner that carries or uses Roma mouldings across North America. What is the prize? $100 in Roma credit per winner. Can we use other corners? No – just Roma Moulding Inc.’s Winter 2017 moulding. How will you know you won? Someone from marketing will reach out to you via DM, PM or email. We may repost and show-off your entry whether or not you win. Just posted my Roma pic to Instagram ! Hope you like !